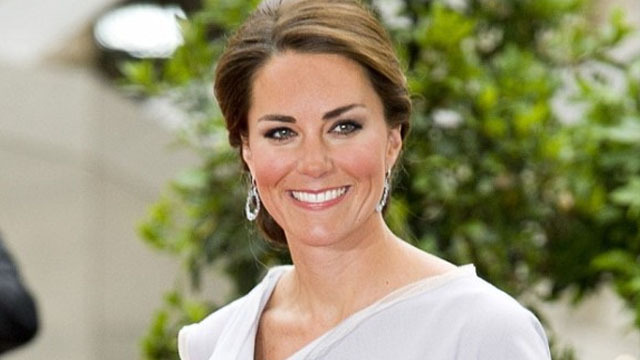 Among the pregnant celebrities of 2013, the Duchess of Cambridge probably proved to be the most elegant mum-to-be of the year. Close on her heels was reality TV star Kim Kardashian. The Duchess of Cambridge: She was always dressed to impress no matter the occasion, before giving birth to Prince George on July 22. Kim Kardashian: Kim, who is engaged to rapper Kanye West, made a splash at numerous events this year debuting her baby bump in designer fashions. Halle Berry: The Oscar-winning actress was seen flaunting her baby bump in plenty of flowy comfortable separates for easy effortless style. Gwen Stefani: The 44-year-old style icon has retained every ounce of her cool style while carrying her third child. Rachel Zoe: The fashion stylist never ceases to amaze with her incredible ensembles, especially when pregnant! Her second baby will surely be the most stylish tot in town. Fergie: The singer looked smoking hot while she showed off her adorable baby bump this year. She embraced bright colours and playful patterns during each trimester. Kristen Bell: The petite star looked adorable as ever on the red carpet at the 2013 Golden Globe Awards in an embellished gown. Jenna Dewan Tatum: Actress-dancer Jenna Dewan, who is married to actor Channing Tatum, turned heads everywhere she went while pregnant. She dropped the weight in record time after giving birth to baby Everly. Malin Akerman: Swedish-Canadian actress, model and singer, known for her role in “27 Dresses”, showed off her sweet baby bump in curve-hugging silhouettes throughout her pregnancy. Weeks after giving birth to baby Sebastian, the actress showed off a slim, statuesque figure.